The super stylish Camden corner group is the perfect solution for compact spaces. 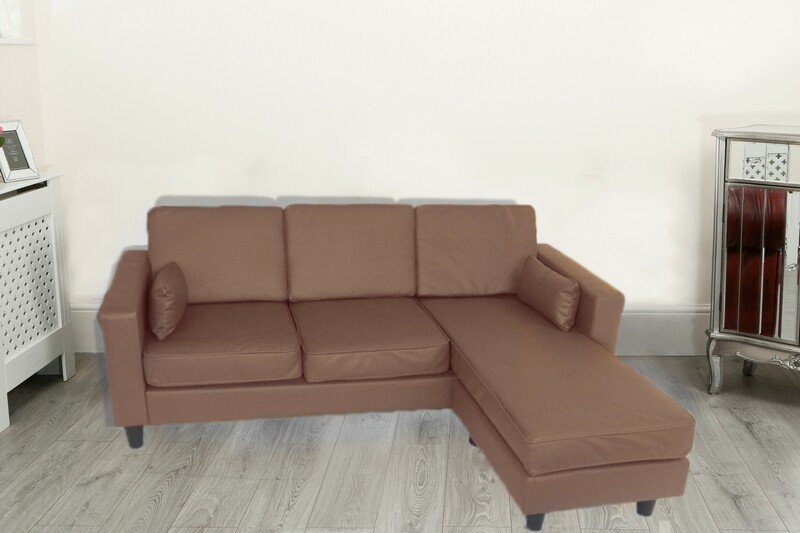 We have combined affordability and style with our Camden corner sofa that really does offer outstanding value. 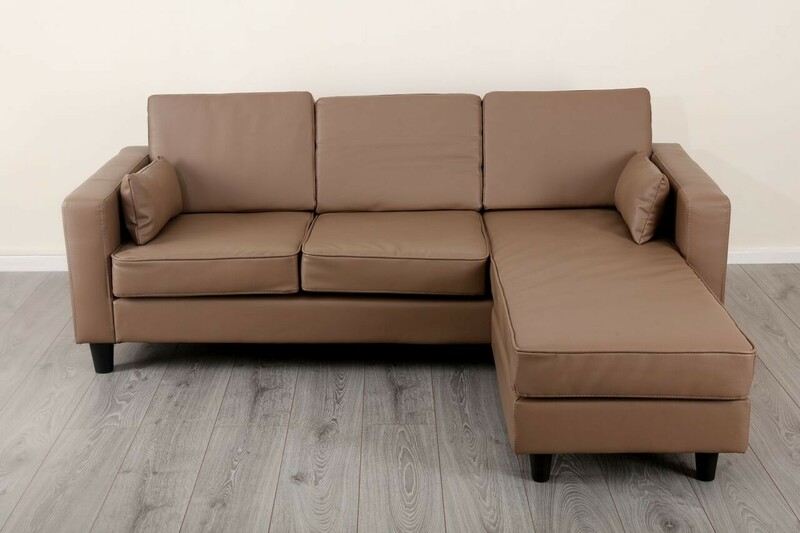 The deep plush cushions provide sumptuous comfort and support.The PU leather creates easy cleaning, to make this a suitable addition to any home. Complete with two free scatter cushions this creates the perfect finish to make any home sleek and stylish. Minimal Assembley required, e.g. screwing on hard feet. This is a curb side delivery - please inspect the box on arrival, if any visible signs of damage please write this on the acceptance slip to the driver. This item is flat-packed, requiring self assembly.